As well as being able to monitor the output of your Solar PV, the latest development for this monitor, is Individual Appliance Transmitters. Move the transmitters easily around your home, to pin-point those high cost appliances. Easily access the usage and cost data 24/7, via your electricity monitor, your PC or Smartphone. January 2018 : Current Cost home energy monitor users please note MyCurrentCost dashboard was retired 15th January. This alternative free real-time dashboard is a great alternative HOME ENERGY MONITOR dashboard solution, with auto upload support for PVOutput ie solar. 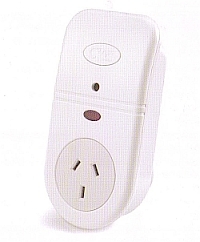 The INDIVIDUAL APPLIANCE MONITORS come in a pack of three and are a great way to expand your Current Cost HOME ELECTRICITY MONITORING SOLUTION.